Always felt Pokémon Go wasn't real-world immersive enough and constantly find yourself running out of battery? Now there's a physical Pokéball accessory, called the Official Trainer Ball, that not only works with the game but acts as a powerbank for your phone too. The catch? This is a Kickstarter project so you'll have to wait a while before you're flinging it at virtual Charmanders. 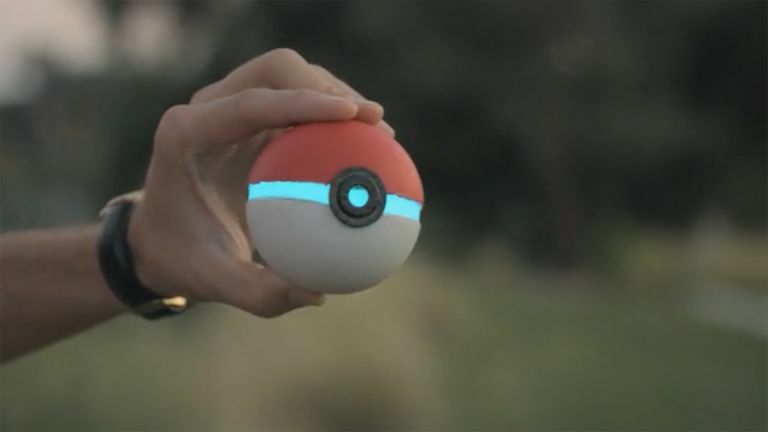 The company behind the real Pokéball is called Game Reality and says that the Bluetooth 4.0 and accelerometer toting device will pair with smartphones to work like a controller. By throwing the ball in the real world the game will mimic the movement virtually, hopefully catching your target Pokémon. If users are in a situation where the ball can't be thrown then it can just be mimic-thrown without letting go and it will still work. But should you choose to throw it somewhere less than soft it'll be able to handle a beating as it's built to be tough, claim the creators. The ball features an outer foam, texturised bottom and rubber coating for grip plus a light around the centre which works with the app. The Official Trainer Ball also features USB ports for charging it and for charging a phone from it. The makers say it will give you three or four full phone charges before needing a top-up itself. The ball should feature two to three power cells, depending on funding levels, of 3750, 2500 or 1200mAh each. Game Reality is in talks with Pokémon Go creator Niantic Labs to licence that Official Trainer Ball name and plans to begin shipping from February 2017. The Kickstarter price will be $55 but at the time of publishing there are currently $35 options still left for early birds.